We thought Alan’s piece on (im)passibilism (mentioned a couple of posts back) worth summarizing and engaging here. Truth be told, blogging (for us at least) is very like journaling. The process is formative before and whether or not it’s influential for anyone else. In addition, Alan’s work has been such a model of unprejudiced and irenic handling of the issues involved in this debate, and we so respect his voice, that we thought we’d like to think out loud through his attempt at a rapprochement (among open theists) between passibilists and qualified impassibilists such as Dwayne and me. I say “qualified impassibilism” because impassibilism as held to by the Orthodox is believed to entail other commitments Dwayne and I don’t embrace. We’re not under any illusions about how alone we are on this issue. We can count on one hand the open theists who share a similar view of God’s beatitude/delight. Since we believe God’s experience of the temporal world is a temporal experience that involves changing states of mind, including divine epistemic openness regarding future contingents, we don’t fit among the Orthodox on the sine qua non of classical theism, viz., actus purus. But we also enjoy an awkward fit among virtually all open theists (but not all) on account of our belief in divine transcendence as God’s unimprovable and imperturbable aesthetic satisfaction. Open theists, virtually without exception (Richard Creel comes to mind as one such exception), espouse a strong convinction in God’s fully passible experience of the world in all its suffering. Oh the irony of it all! But enough sociology already. In this post we want just to summarize Alan’s argument. Hopefully we’ll get it right. It’s main point against impassibilism is fairly simple. By (im)passibility Alan is speaking strictly of (im)passibility of feeling, not (im)mutability with respect to any other change. 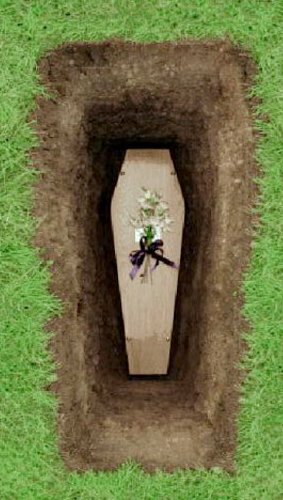 There’s no debate among open theists regarding divine change with respect to God’s knowledge of the world in its temporal becoming. Alan also defines (im)passibility of feeling as just being that “difference” which we make to God, pure and simple. Impassibility amounts to a “no difference” thesis while passibility is a “some difference” thesis. In addition, the passibilist’s “some difference” thesis makes no explicit claim as to how great a difference we make to God. God’s emotional response to our suffering may be in Alan’s words “infinitesimal,” a “drop of disappointment in a sea of joy,” or a passibilist may hold that difference to be immeasurably great. Point is, it is some actual effect upon the felt quality of God’s experience, for that aesthetic effect (disappointment or satisfaction) just is the “difference” we make to God. Lastly, whatever disappointment God experiences on account of us, there can be no corresponding effect upon God’s “competence.” God is not “functionally impaired” on account of whatever disappointment or grief God experiences on our account. God’s (immutable) competence, it follows (though Alan doesn’t make this explicit), is unrelated to the (mutable) felt quality of his experience. In the course of laying out his conclusion, Alan grants several key preliminary assumptions. The Anselmian intuition that God is necessarily and essentially the greatest possible being (“maximally excellent”). God’s intra-Trinitarian experience prior to creation as one of perfect unallowed beatitude. That God is “impassible in nature but passible in knowledge.” This awkward and poorly worded phrase (for Tom) is Richard Creel’s. What Creel means is to distinguish four kinds of (im)mutability (not, as he words it, ‘impassibility’ which by definition has only to do with the passions): nature, will, knowledge and feeling. Among other points, Creel argues God is mutable in knowledge (since his knowledge of the worlds’ changing actuality is an experience of the world’s changing actuality) but that God is immutable in feeling. Creel (2005) is an open theist who holds that God is impassible (in feeling). Dwayne and I welcome the company. Lastly, that God has differential preferences (from among those causally possible futures he foreknows). God prefers some possibilities over others. This differential preference thesis becomes the basis upon which Alan argues the world be understood as “making a difference” to God. Alan’s strategy for rapprochement is to agree that two views on (im)passibility are false, leaving a third workable solution. The two that don’t work are left and right of center. First, “strong passibilism” is set aside. Strong passibilism is the view that God is so adversely affected by the world’s evils and suffering that he is functionally impaired. He can’t do his job and God needs time to “process” before he can move on. Second, “impassibility” — the belief that “God’s emotions cannot be perturbed at all” and that “God’s intra-Trinitarian bliss is maintained in perfect equanimity regardless of creaturely actions” — is also set aside as incompatible with (a) a benevolent God’s having differential preferences regarding the world’s open possibilities and with (b) our actualized (dis)preferred possibilities “making a difference” to God. Alan’s third, preferred understanding lands between these two rejected alternatives. God is neither perturbed to the point of functional impairment (on the one hand) nor is he free of all perturbation (on the other). On Alan’s view “the mere fact that God has differential preferences regarding creaturely outcomes requires that God be able to feel disappointment, in some sense, when things go contrary to God’s preferences, and be pleased, in some sense, when things go according to God’s preferences.” Hence, Alan prefers a “weak passibilist” view which holds that God’s emotions can be perturbed but that the degree of perturbation is such that God can never be functionally impaired. Alan doesn’t get into the extent or depth to which the felt quality of God’s experience is affected by us; he only argues that we “make a difference” to God and this difference is our affect upon him. This difference may be infinitesimal, a “drop of disappointment in a sea of joy.” But it is a difference nonetheless. And lastly, Alan doesn’t describe this “difference” we make to God as equivalent to our “meaning” to God, but I think he’d agree they’re synonymous. That is, the ultimate meaning of our existence/experience in the world is the difference we make to God and that difference is a difference in the felt quality of God’s experience. What of God’s intra-Trinitarian unallowed bliss prior to creation? We must conclude “not that God’s pre-creational bliss cannot be perturbed, but that it cannot be perturbed apart from God’s choice.” Hence, God’s inner tranquility is not essentially independent of the world. God can freely make himself vulnerable to disappointment should he wish to do so. I trust we’ve stated Alan’s position accurately. Is the ETS still a factor 10 years after the vote? (1) If open theism is truly not a factor, why is Robinson taking the time to write on it at all and with such a sense of urgency? (2) If inerrancy was finally settled in 2006 by the ETS, what significance ought we to give to the fact that just last year the ETS dedicated its annual meeting to debating inerrancy — again? Exactly how “safeguarded” (Robinson) did the ETS make itself in 2006 if they need to devote an entire annual session to the issue in 2013? (3) Of course a small minority advocated open theism in the 90’s, but membership voted not to dismiss open theists Pinnock and Sanders. Isn’t that the point of the vote? (4) Schreiner is right, discussion of open theism in the ETS died down because people got tired of debating it. But I rather think that reflects the way it was debated, not conversation per se. Conversation pro/con open theism is going on all over the place. It’s the ETS that took itself out of the conversation, which prompts a better question than the one Robinson asks, namely, Is the ETS still a factor 10 years after its vote? (5) Robinson’s summary of open theism is why debate ended — viz., those opposing open theism couldn’t articulate it in a way that didn’t already reflect their criticisms of it. (6) Robinson: “Many Reformed scholars argue that open theism represents a reconfiguring of the God of historic Christian orthodoxy.” I wonder how many of those same scholars are kenoticists and does Robinson have any idea what a complete reconfiguring of the God of historical Christian orthodoxy kenoticism is (since he’s passionate about Orthodoxy)? (7) Robinson: “You will not find papers in defense of open theism being read in seminars at ETS today.” What’s this supposed to mean but that the ETS is either incapable or unwilling to have a conversation about something they admit “remains alive and growing within evangelicalism”? (8) Ware: “I receive emails on occasion from college students who tell me of their theology or philosophy professors at their Christian colleges who teach open theism as their own view….” Doesn’t this constitute evidence that after 10 years open theism is still a factor? (9) Ware: “…he said, ‘I have not heard of these people, and they haven’t published their views (to my knowledge), but they simply view open theism as a viable alternative. I feared this taking place back during the days of hot debate on this issue, and this is one reason I argued in my 2001 plenary address at ETS that open theism should not be considered a viable evangelical position.” So let me get this straight. According to Robinson and Ware, the ETS concluded that open theism isn’t a viable evangelical position, no publishing venue within the scope of ETS’s influence is publishing open theist material and no professional peer reviews engage it (which isn’t true, but let’s assume it is)—and yet open theism “remains alive and growing” and Christian professors advocate it on campuses. (10) “Wherever open theism is found today, whether in the academy or blogosphere, this much is clear: evangelicals must continue to defend the classical doctrine of God’s exhaustive foreknowledge and meticulous providence as the view that coheres most closely to God’s Word.” So open theism is by Robinson’s estimation alive and growing, is advocated for on Christian campuses and is discussed widely on a popular level with the exception of the ETS. I’m pretty sure this means the ETS isn’t a factor. Please check out the rest at Alan’s blog. 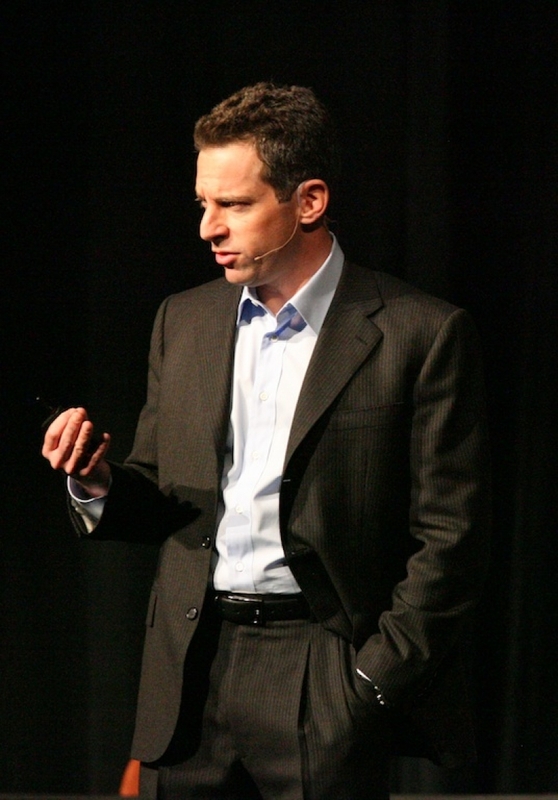 Horseman Sam Harris discusses the illusory nature of our personality amalgams-constructs as well and his take on what it means to transcend them through meditation. Check out the interview on his website: Meditation and the Nature of the Self. Self-transcendence for Merton is quite different. 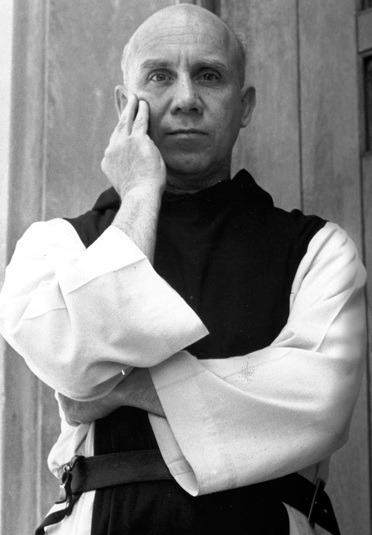 Merton agrees with Harris (or rather Harris agrees with Merton, for the illusory nature of the self was known to religious mystics long before neuroscience) on the illusory nature of the ‘self’ as the personality amalgam, but by this Merton means the existential futility of any understanding of ourselves within terms of the givens of the created order. So long as the ‘self’ seeks its truest identity in terms of any narrative (partial or all-inclusive) of the material order, frustration and failure reign, for everything in that order, including the order in its entirety—i.e., ‘that’ it is at all—seeks the same explanation every conscious subject within it seeks, and you can’t derive a personal transcendence from that which, like you, seeks its own transcendence; the whole can’t tell any part or member within it ‘who’ or ‘why’ it is since the whole stands in need of explanation as much as any part of it. 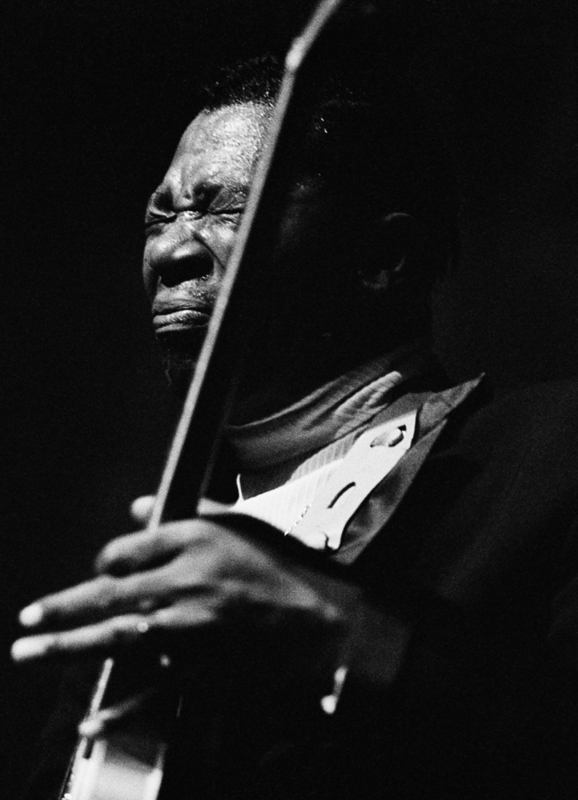 But this is precisely where Harris’ meditations deposit us, in a transcendence which is no transcendence at all. Merton’s point is that one only possesses one’s truest ‘self’ transcendently when one is possessed of/in/by an uncreated, personal, conscious benevolence which is present to/in the created order (present in our own seeking) but which is not that order nor any part of it. This lecture of Hart’s on the New Atheists has been out for some time. Stick with it to the end, through the discussion section. Couple of new books! Can’t wait to dive in. 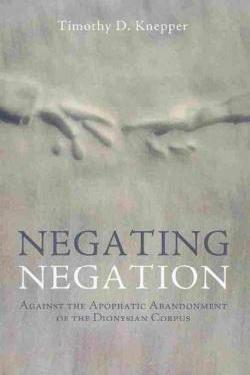 Negating Negation: Against the Apophatic Abandonment of the Dionysian Corpus (Cascade, 2014) by Timothy Knepper. 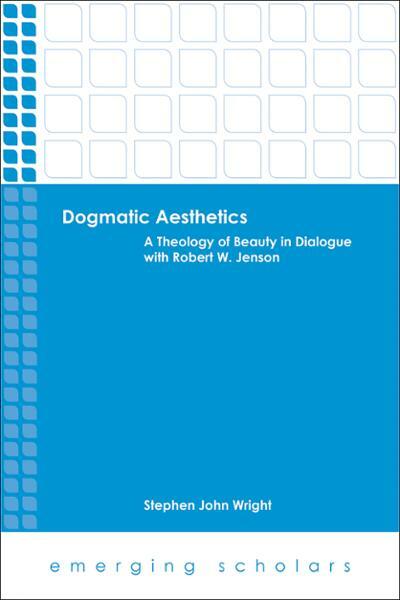 Dogmatic Aesthetics: A Theology of Beauty in Diologue with Robert W. Jenson (Fortress, 2014) by Stephen Wright. I’ve been reflecting on my spiritual journey, particularly how the theological landscape of my perspectives has changed over the past twenty years or so since The Openness of God (1994) and other key publications (Boyd’s God of the Possible and Sanders’ The God Who Risks) came out launching open theism in earnest. I came to faith in an Evangelical Pentecostal tradition, the same tradition I was trained in and in which I continue to serve as a minister. As a Pentecostal, I’ve always had a deep appreciation for the manifest presence of the Spirit, whether the more traditionally Pentecostal aspects associated with revival meetings or their famed missionary zeal (having spent more than twenty years as a missionary in the Middle East). Eventually I came to appreciate that underneath this Pentecostal fervor was a more fundamental ‘realist’ spirituality. God—not some mediating force or agency—is known and experienced by us. So when I happened upon John Sanders’ The God Who Risks (my first introduction to open theism), I immediately connected to the vision John was sharing. It expressed things I had pondered and presupposed for years. Since then open theism has been front and center. I don’t think a day has gone by the last twenty years that I haven’t committed time to read and reflect on the claim (and implications) that the future is open and that’s how God knows it. Little else has occupied my intellectual interests since stumbling into The God Who Risks. It’s pretty much been a non-stop obsession (as my wife calls it) for debate and conversation on and off-line. So it was a particular joy to have had a share in seeing pastors and lay-leaders from across the country gather in St. Paul for OPEN 2013. Back in the day the only online resource for such conversation was a CoolBoard discussion site Greg Boyd started. That venue connected people and facilitated the dissemination of open theism at a popular level. It later transformed into the Open Theism Board which, though a ghost town of a site today, was for several years the Grand Central Station of conversation among open theists. Lots of very interesting history there. Other sites eventually emerged, and today there are nearly two dozen open theist blogs and online resource sites as well as several Facebook pages dedicated to discussing open theism. I’m no sociologist. I don’t have any hard science to back this up, and I might be 180 degrees off the mark, but I’d like to share a couple of conclusions I seem to be coming to regarding open theism as a movement. I’d like to be wrong. It’s just that my own hopes and expectations have changed and I have peculiar doubts about the coherence of open theism’s identity and future. Early on I believed open theism was poised to be a major renewal movement within the Church. Maybe we just created that impression in our own minds, and maybe that was unfair. I’m not sure. But at one point the atmosphere among open theists was pretty excited by the conviction that God was raising open theism up to be a major voice and renewal movement for the Church worldwide. That’s why I was putting time into promoting and networking it, as were others. I still think something T. C. Moore said a few years ago is spot on, namely, that the future of open theism is in church planting. Take the ACTS 29 Network for example. What a great dissemination strategy for Reformed theology. What started as a conversation among academians and philosophers (which is where and how open theism was conceived and birthed) could come to define the theological vision of pastors, church planters and missionaries far and wide. That was why I suggested to Greg Boyd that it was time for an open theism national conference and that ReKnew ought to sponsor it. OPEN 2013 was the result. I continue to wonder who we as open theists really are ‘as a movement’ if indeed we’re a ‘movement’ at all. Part of the problem is knowing where to go to answer that question. Who’s qualified to say? In view of my own frustrations, then, I thought I’d share some thoughts I’ve been pondering. First, I’d say open theism’s academic future is bright. I don’t think there’s any way to dislodge open theism as a respectable philosophical (and biblically-informed) position. Here I mean the simple philosophical proposition of the combined truth of theism, presentism and divine epistemic openness regarding future contingents. But beyond this simple proposition there is no agreed upon ‘open theology’. It’s all contested. We disagree over the Trinity, creation, atonement, Christology, providence, theodicy, epistemology, hermeneutics, violence, liberation theology, gender issues, the morality of sexual orientation, how the Cross functions normatively to determine theology, the nature of divine aseity and divine suffering, and on and on. In terms of its most reduced philosophical commitments, open theism has a bright future. It’ll always enjoy a spot at the academic table. But (secondly) in terms of its having enough shared belief-content to fuel a movement, open theism is, I think, already dead (if indeed it was ever intended to become a “movement” at all). Perhaps in the end this post is just me catching up to a truth I never quite got; i.e., that open theism at best was only ever a conversation starter, not the vision of a sustained worldview. To be sure, open theism continues to renew individuals and make faith more accessible to many. And there’s no reason it shouldn’t continue to do so. I’m not disputing that. But theological disagreements outside the bare minimum (generic theism + presentism + divine epistemic openness) prevent it from occupying enough of a shared landscape to constitute a “movement.” If I’m unclear about what sort of “movement” I have in mind, forgive me. It’s become a bit unclear to me as well. I wonder if part of the reason for open theism’s early success is that it attracted people disappointed with the prevailing options (Calvinism and traditional Arminianism). By far the greatest enemy was theological determinism. A lot of energy was expended engaging that debate. As is known, having a common enemy can unite people who otherwise don’t have a lot in common. I don’t mean to suggest that open theism didn’t also from the start advocate a positive agenda. It certainly did. But I don’t think anyone would doubt that confronting determinism exercised a good deal of influence in uniting open theists. When the main apologetic work was done and the dust of debate settled, we open theists were able to explore just who it is we were and what we wanted to become as a movement, and it was then that the stress fractures started to show. As I said earlier this year, open theism had become largely leaderless/fatherless. None of the original authors of The Openness of God has, since Pinnock’s passing, taken anything like a leadership or pastoral role over the shape and development of the “movement.” Arguably Nazarene scholar Tom Oord has done more over the years to promote open theism than anyone in spite the fact that whether his quasi-Process worldview was compatible with open theism was part of our post-OPEN 2013 disagreements; and I have huge respect for what Tom has done to promote open theism. Greg Boyd admittedly is hugely active as well. My point is that the simple thesis of an ‘open future’ isn’t a big enough idea to empower a movement. You have to have more at the center. But this is where our disagreements took over. Open theism, in its core thesis, hasn’t proved to be a community-creating theological worldview, at least not enough for what some of us had in mind. I may be way off on this analysis. Like I said, I’m no sociologist. Nobody has any hard science to explore these dynamics. I just wanted to share my limited perspective and say, as I reflect upon my own journey, that I’m thankful I picked up Sanders’ book twenty years ago, thankful for the personal transformation it inspired, and grateful to have grown in friendships. Does open theism have a future? Well, it definitely has an academic future as a proposition (on campuses, in journals, at conferences), and that’s wonderful. But socially-ecclesially, as a cohesive “movement” open theism may have already passed into the footnotes.